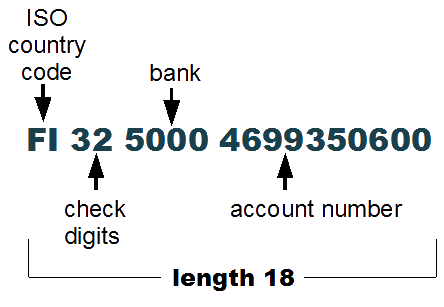 4 Characters are reserved for bank's identifier in IBAN, but not all 4 characters are always used. In the above picture, for example, only  is used, thus indicating that IBAN is in OP-Pohjola (The remaining characters are filled with ). This identifier must match with the given BIC.